Alibaba (pending NYSE: BABA) has priced its IPO in the range of $60 to $66, valuing the company slightly below $160 billion. This is according to the e-commerce giant’s documents with the Securities and Exchange Commission revealed last Friday. While Alibaba is much profitable than its U.S. rival Amazon.com (NASDAQ: AMZN), the price range makes its a little bit cheaper. Thank you for taking the time to read our prospectus, and for considering investing your precious resources in our company. If you invest with us, you will be embarking on a journey with Alibaba, and in this letter I would like to share with you some of our thoughts and beliefs for the future. Alibaba is a values-based company driven by our mission “to make it easy to do business anywhere.” Our proposition is simple: we want to help small businesses grow by solving their problems through Internet technology. We fight for the little guy. Since our founding in 1999, we have helped millions of small businesses to achieve a brighter future, and we hope to do this for at least 102 years, thus spanning our company’s life over at least three centuries. We do not simply attempt to push the boundaries of technology—instead we seek to harness technological improvements to expand the boundaries of business. Alibaba is not the creation of a few technology innovations or a couple of whiz kids. We have developed an ecosystem that has been built by tens of millions of participants who are passionate about the future and steadfast in their belief that the Internet should be fair, open, transparent and shared. Together, these participants have invested time, energy and passion into this ecosystem, and today the world can see what they have accomplished. From the very beginning our founders have aspired to create a company founded by Chinese people but that belongs to the world. In the past decade, we measured ourselves by how much we changed China. In the future, we will be judged by how much progress we bring to the world. This challenge is enormous, but it is also a blessing to have this rare opportunity. This challenge requires us to do our best day-to-day, but most importantly it requires us to think about what is best over the long-term. 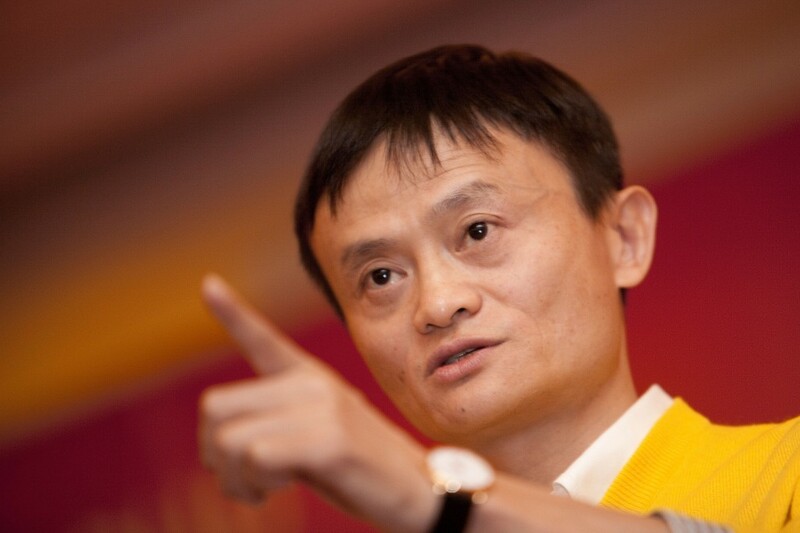 Alibaba’s mission makes it impossible for us to become an empire-like business. We believe that only by creating an open, collaborative and prosperous ecosystem that enables its constituents to fully participate can we truly help our small business and consumer customers. As stewards of this ecosystem, we spend our focus, effort, time and energy on initiatives that will benefit the greater good of the ecosystem and its various participants. We can only be successful if our customers and business partners are successful. We firmly believe that businesses in the 21st century must take responsibility to help solve the problems of society. In the history of our development, social responsibility has always been embedded in our corporate DNA. We believe that a healthy and prosperous ecosystem can only be achieved through solving large-scale problems of society. The Internet has given us a once-in-a-lifetime opportunity to create a new business paradigm in China. This transformative work will not be easy, and it will require us to be consistent, to work across many dimensions, and to focus on what’s best for the long-term benefit of our ecosystem and its participants. In addition, our mission requires our company to behave with the utmost degree of fairness, transparency and efficiency toward participants in the ecosystem. This is not only a moral duty, but also the foundation of our own survival and growth. Our hard work has awarded us unique advantages — the complexity of our ecosystem and the challenges of sustaining its vigor mean that it is not easily replicated by others. If you own shares in our company, you will become a part of our ecosystem. This means that the Alibaba team will have a duty to look after your interests. But it will also mean that you will have an important responsibility to help us maintain and grow our ecosystem by sharing our view that success will be defined as sustainable, long-term growth and prosperity. Our journey over the past 15 years has not been easy, and we have faced our share of challenges. We have often found ourselves in complex situations where we must make difficult choices among competing interests: between buyers and sellers; between competing sellers; between entrepreneurialism and regulation; between innovation and the need for stability. Behind every substantial innovation or step forward, we have encountered and will continue to encounter resistance from vested interests who prefer the status quo. In addition, many problems in the real world manifest themselves in different shapes and forms in our ecosystem, including intellectual property infringement and those who seek to exploit our ecosystem for unfair gains. Like all companies today, we must grapple with these tough issues. Even an ecosystem built on the Internet cannot be entirely free from problems in the traditional economy, because the participants in our ecosystem and their activities cannot be isolated from the physical world. It is by no means easy to handle these issues because there are no perfect solutions to regulate an economy to begin with. By the same token, an ecosystem cannot be perfectly designed ahead of time because it evolves organically. Alibaba’s development therefore must embrace rapid change according to our evolving environment. After we become a public company in the United States, we will face new challenging issues. When an Internet company of our scale that originated from China enters the global scene, you should expect that it will encounter skepticism from different directions due to differences in cultural perspectives, values and even geopolitical positioning. While it may be difficult for a public Alibaba to side-step controversy, we hope that controversies generate constructive debate and add fresh perspectives to the dialogue on globalization. It is not our style to shy away from challenges. As a shareholder of Alibaba, you can rest assured that we will stick to our ideals, be ourselves, focus on the future and adhere to the principles of integrity and transparency in our corporate governance. We will act in a way to safeguard the long-term value and sustainability of the ecosystem. Your trust and support will be our greatest asset, and our creed is to not forsake the trust that people have in us. We respect and are grateful for investors who support us with their precious capital. Our history with long-term investors, including Yahoo YHOO +0.57% and SoftBank, has demonstrated that our investors can benefit substantially from sharing our long-term approach. Not only that, our investors will also derive satisfaction in knowing that they will help Alibaba to create jobs, spur innovation, level the playing field for small businesses, and drive transformation for social and economic growth. Our company will not make decisions based on short-term revenues or profits. Our strategies will be implemented with mission-driven, long-term development in mind. Our people, capital, technology and resources will be utilized to safeguard the sustainable development and growth of the Alibaba ecosystem. We welcome investors with the same long-term mindset. To ensure the sustainability of the company and the interests of our customers, employees, investors and other ecosystem participants, we have always operated under the principles of collaboration and shared commitment among those who are responsible for our business. This operating philosophy is embodied in the Alibaba Partnership. We believe that our partnership approach has helped us to better manage our business, with the peer nature of the partnership enabling senior managers to work as a team and override bureaucracy and hierarchy. Our ecosystem is too complex — and too important — for us to depend on one or two founders or executives, no matter how capable they are. We must deal with the issue of sustainability and succession systematically. Our partnership system promotes people with different skill sets but all having the same beliefs and values. It is not a system established to protect individual interests. It exists to safeguard our mission, values, vision and culture. Each year, by admitting new partners, we inject new energy and perspectives. In this way, we can ensure that our operations will continue to improve with time and scale. In the interest of building a business ecosystem that is healthy, sustainable and growing, the corporate charter of the company empowers the partners in the Alibaba Partnership to have a strong say in charting the strategic direction and moral compass of the company. We have invested a lot of thought into creating this structure and, with a heavy sense of responsibility, we exercise great care in the selection and admission of partners to the partnership. I encourage you to study the description of the Alibaba Partnership in the prospectus to learn more about our philosophical approach to this important aspect of corporate governance, an aspect that we believe is unique and innovative. Following our IPO, you will receive a letter like this one each year in our annual report. My partners in the Alibaba Partnership will take turns writing the annual letter. I would like to thank you for considering an ownership in Alibaba. My colleagues and I would like to assure you that we are committed to serving the Alibaba ecosystem for the benefit of all of its constituents.